What If We Had Never Adopted? On May 2, 2012, nearly 2 years to the day of Kazakhstan closing its international adoption placement program, it was announced that once again this country will accept the applications of families wishing to adopt orphaned and abandoned children. Please allow us to introduce you to the children of Kazakhstan, and this new International Adoption Program. The size of the orphanages and number of children housed in each institution varies. Many orphanages will have anywhere from 50-250 children at a time of different ages. Some children are legally available for adoption, while others may have parents who have maintained their legal rights. For unknown reasons, many more boys are abandoned than girls in Kazakhstan. There are approximately 20-30 girls for every 100 children in orphanages. 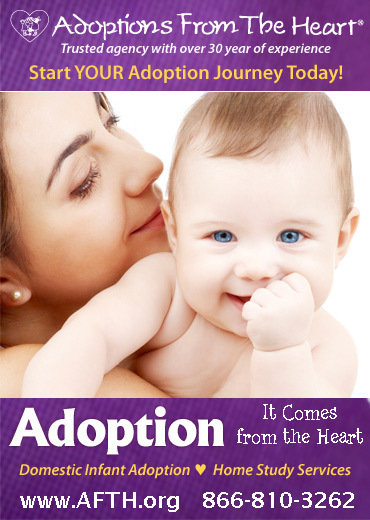 Because of this, families open to the adoption of a son will often experience a quicker adoption process. The level of care that the children receive depends on the area and the financial assistance received by the institution. The children's days are highly scheduled. School age children attend schools in their area. The children are permitted to grow up and live at the orphanage until they finish school. Children Available: Infants 12 months of age and up are available. Toddlers and school age children are also waiting for families. 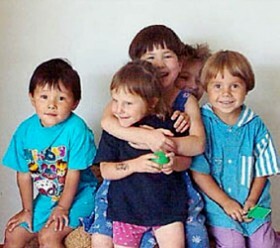 The ethnic background of most of the children available is Asian-Kazakh, however, occasionally Russian Caucasian, German, Korean, Tatar and Gypsy and mixed ethnicity children are available. The children must stay on a national database for a period of time; these children will be available for international adoption after they are released from the database. Sibling groups are sometimes available, but rare. Typical orphanage delays with institutionalized children are expected. The adoption of two non-related children is not allowed. No more than a maximum age difference of 45 years between the adoptive mother and child. The program is open to married couples and Kazakhstan Government prefers to work only with married couples. Singles must be pre-approved, must have no children, and only special approval circumstances will be allowed. At this time, singles may not be considered. No more than 2 divorces per adoptive parent are allowed. The family must meet United States Immigration requirements as well as provide a complete dossier of paperwork to Kazakhstani officials. Childless adoptive parents must be open to adopting either gender. No arrest history that shows up in the record. Must have clear local, State and FBI police/fingerprint clearances to adopt. Medical information, social, legal profile of the child, and photo are provided for every referral by the Central Authority of Kazakhstan. Families will have a certain time period to decide on the referral and request additional information if it is available. This is NOT a "waiting child" program. By that we mean that families will send their dossier to Kazakhstan, and wait for a child to be assigned to them. Both parents, must travel at least twice and possibly three times to Kazakhstan and travel to the region where the child resides. Travel will only occur after your dossier reaches Kazakhstan and has been approved. You will stay in an apartment or hotel in Almaty. Lodging in a hotel or apartment is dependent on availability in your child's city. Visitation between the parents and child will be conducted for a 30 day bonding period. Two parents are required for the bonding period. After the bonding period the court date will be set. There will be a new court assigned called the Juvenile Court. It is unknown at this time whether the court will assign dates that are close to the bonding period, so a second trip for court might be necessary by both parents. There is a 14 day appeal period after the court before the ruling is made. After the adoption is finalized, papers will be legalized, your child will have a medical exam, the adoption will be registered in the adoption registry in Astana, passport obtained and I800 will be filed in Almaty for your child's Visa at the American Embassy. Families should prepare for two trips of at least 35 days or one 35 day trip with two shorter trips following.